We are successfully catering to the variegated needs of our customers by providing a superior quality of Sublimation Stone at very reasonable price. 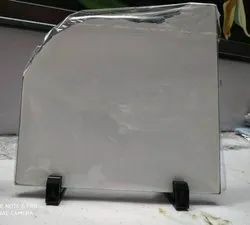 White Printed Sublimation Stones, Size: 7.5x7.5"
With Foucus on Quality and innovations and Passion to keep on adding new products in our portfolio we have recently launched Sublimation Rock Stones with Wooden Frame. Since its launching this product has gain much popularity and gain big category Sales. Backed by rich industry experiences, we are highly engaged in manufacturing and wholesaling a premium quality range of Sublimation Stone. We have marked a remarkable position in the market by offering the best quality array of Sublimation Blank Stone. 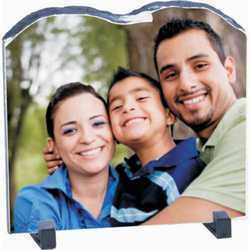 We are engaged in offering a quality approved range of Sublimation Photo Rock. All type and shapes of Sublimation Stones are avialable .